A: If you add the product to your cart, you will be able to see a shipping calculator that will allow you to estimate shipping based on your ZIP code. 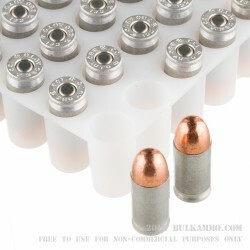 Q: Under "Ammo Overview" it says 50 rounds per box, 10 boxes. Is it supposed to say 50 rounds per box, 20 boxes, as the sale is for 1000 rounds? A: Yes, thank you for bringing this to our attention. The error has been corrected. Q: I was at an indoor range and they required shooters to use TMJ bullets to help keep down airborne lead. 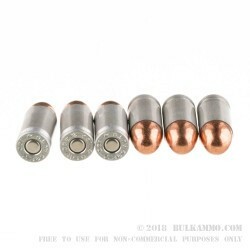 From what I understand the lead on these bullets is fully encased where an FMJ bullet has exposed lead at the base. 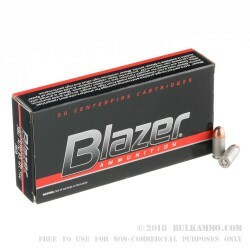 Are there other benefits to using a TMJ bullet like the CCI Blazers for non indoor range use? A: The primary advantage to this projectile is that it reduces levels of airborne lead. This is useful whether you are on an indoor or outdoor range, but most of the ranges that require TMJ projectiles are indoor. A secondary advantage is that the fully enclosed core won't foul muzzle compensators or ported barrels.